Receive beauty, convenience, and longevity, all in one visit! 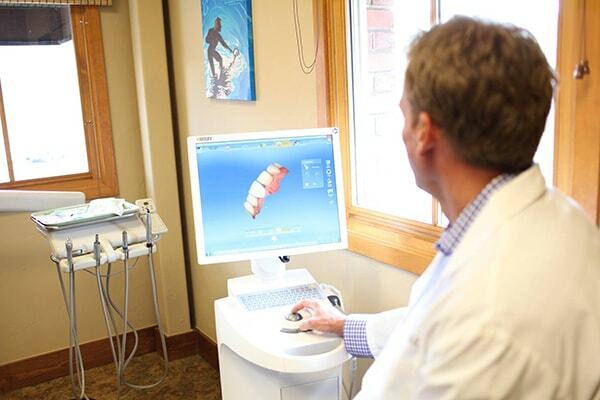 Getting a crown in Edwards, CO is more convenient than ever with our CEREC same-day crowns technology! Dr. Haerter uses the CEREC machine to digitally scan your tooth. Then the advanced 3D CAD CAM technology mills your crown out of beautiful and natural-looking porcelain–all in one visit! Dr. Haerter has been providing CEREC since 2004 and continues to be on the forefront of the latest CEREC technology (including Sirona Omni Cam) in Colorado. You won’t need to wear uncomfortable temporaries or juggle your schedule. With CEREC, your same-day crown in Edwards will be crafted in one appointment. With CEREC, the natural tooth anatomy is replicated. The all-porcelain material offers natural aesthetics to match your teeth and reinforces a strong bite. 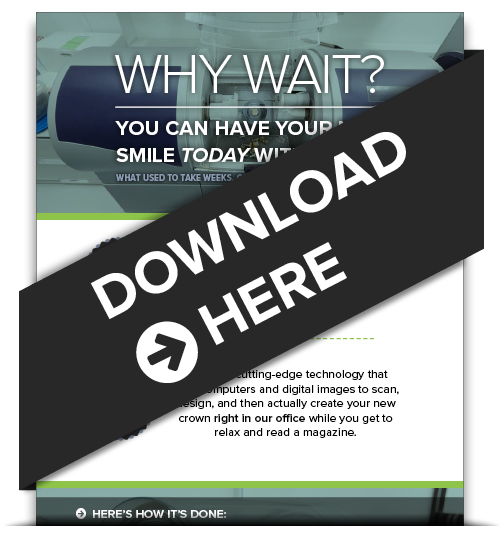 With our advanced CEREC technology, you don’t have to worry about messy impression material or multiple injections during your procedure. HOW DO YOU GET A CROWN IN ONE APPOINTMENT? The first step is prepping your infected tooth by preserving your tooth structure and removing infections. We take digital impressions of your tooth and start designing your crown with 3D technology. This is where the magic happens. The CEREC machine takes your impressions and crafts the crown. Dr. Haerter places your beautiful crown, and you walk out of our office with a beautiful smile.